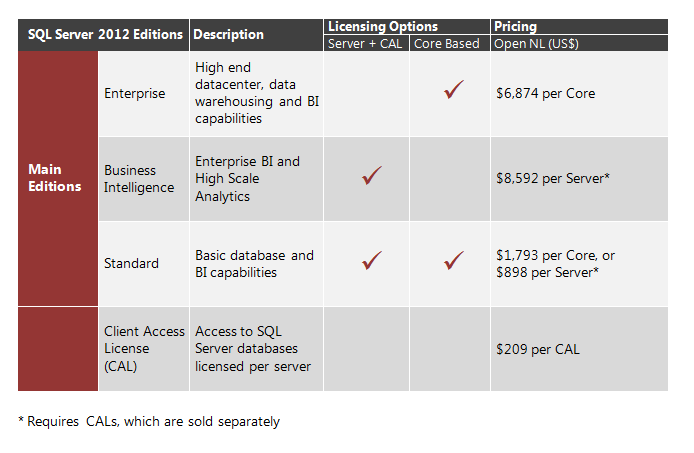 • Further savings can be achieved by operating a database server utility or SQL Server private cloud. This is a great option for customers who want to take advantage of the full computing power of their physical servers and have very dynamic provisioning and de-provisioning of virtual resources. • Customers will be able to deploy an unlimited number of VM’s on the server and utilize the full capacity of the licensed hardware. • They can do so by fully licensing the server (or server farm) with Enterprise Edition core licenses and Software Assurance based on the total number of physical cores on the servers. SA then enables the ability to run an unlimited number of virtual machines to handle dynamic workloads and fully utilize the hardware’s computing power. 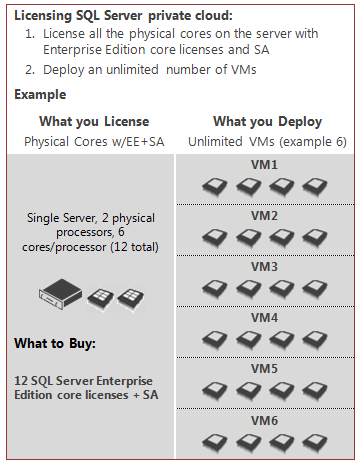 • Customers cannot license for unlimited virtualization with SQL Server 2008 R2 EE Server + CAL. This was only a temporary use right grant with SA.